Richard Irwin (Belper, United Kingdom) on 21 March 2009 in Plant & Nature. My aging Nikon D70 struggles terribly with yellows, the meter just is useless when faced with daffodils. One day I'll get a more modern digital SLR, and not have to spend forever in Photoshop on colour correction. I love it. And,despite the frustrations you may have, the color is actually quite pretty. 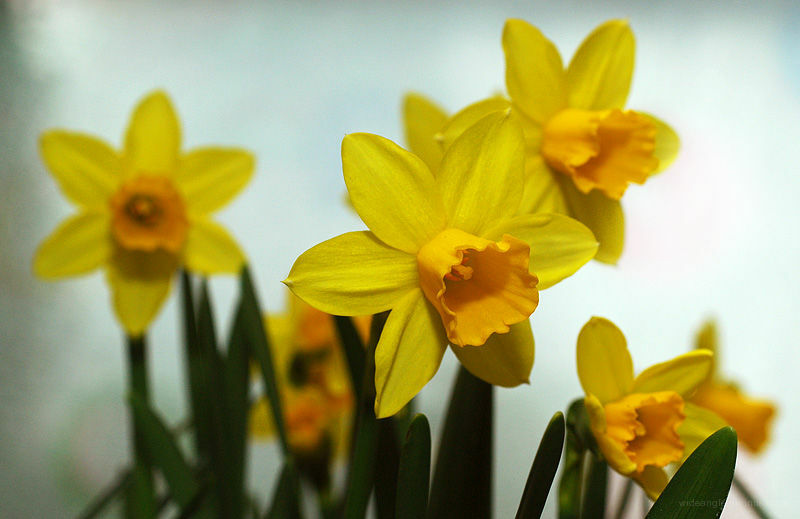 Daffodils are wonderful sunny symbols of spring, it's always a pleasure to look at. Vanished is a good word for the crocuses . . the daffodils are a very welcome sight and more resilient than the crocuses for sure. whatever you did certainly paid off. this looks great.